while others support the crusade of the moment, and then move on to the next one. 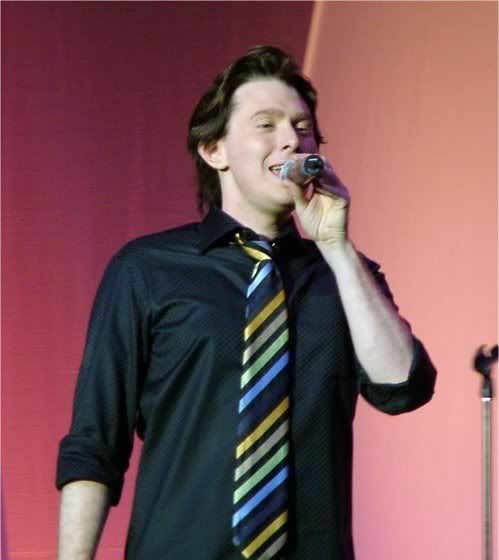 made the final round of competition, and then gone on to double platinum sales with his debut album, Measure of A Man. 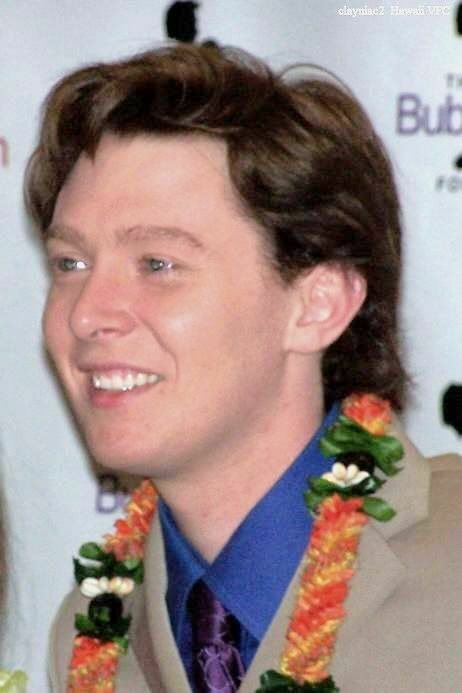 In February of 2005, Clay Aiken was in Hawaii to champion the cause of kids…those with and without disabilities. He was one of the guest speakers at the Pacific Rim Conference and also there to host the Bubel/Aiken Voices For Change Gala. According to all reports, the Gala was a huge success. The exciting evening included a short speech by Clay, a silent auction, dinner, and a mini-concert by Clay. A former Miss America was the mistress of ceremonies. She did an excellent job and was a true professional. Dressed in a beige suit, Clay gave an outstanding speech that was both touching and inspiring. Clay closed the evening with a short mini-concert. He performed Invisible, I Will Carry You, Bridge Over Troubled Water, and Measure of A Man. Hula dancers joined Clay as he sang Measure of A Man. …While Aiken these days isn’t the easiest person to reach — having a very tight and hectic schedule — he was the epitome of Southern-grown manners as he talked about his current work with his Bubel/Aiken Foundation (TBAF). “The fans have been just absolutely amazing in supporting the foundation,” he said. 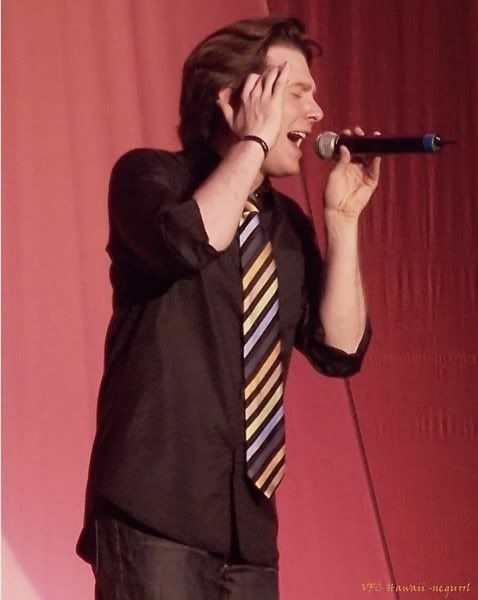 Aiken has been able thus far to juggle his commitments to TBAF with the demands of his singing career, and hopes to do a full-length concert here sometime, maybe after he finishes his next album around the end of the year. 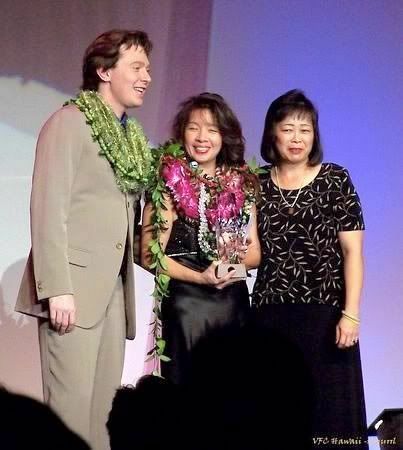 In the meantime, Aiken will sing at least a few songs Friday night for his “Voices for Change” gala dinner/fund-raiser at the SheratonWaikiki…. … Aiken says politely but firmly that he disagrees with the idea that disabled kids should be isolated from their nondisabled peers. … Aiken will be sharing his findings on the “benefits of inclusion” at the conference next week as part of a larger look at issues that affect people with disabilities, their families and friends, and the community as a whole. “We don’t do this everywhere. We pick communities with people who have really made a difference. (The senator) has done a lot of work in the legislature advocating for the disabled community in Hawaii,” he says. 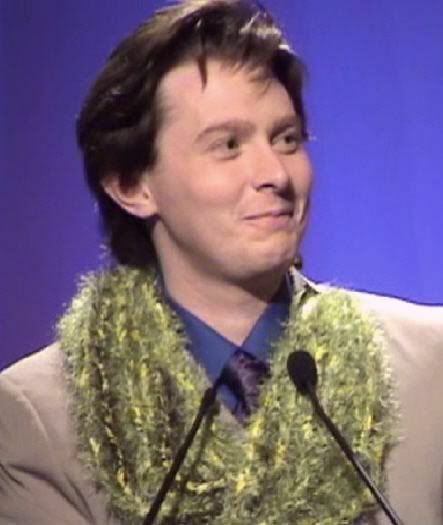 As for any comments about “American Idol,” Aiken clearly prefers to talk about his charity work instead. 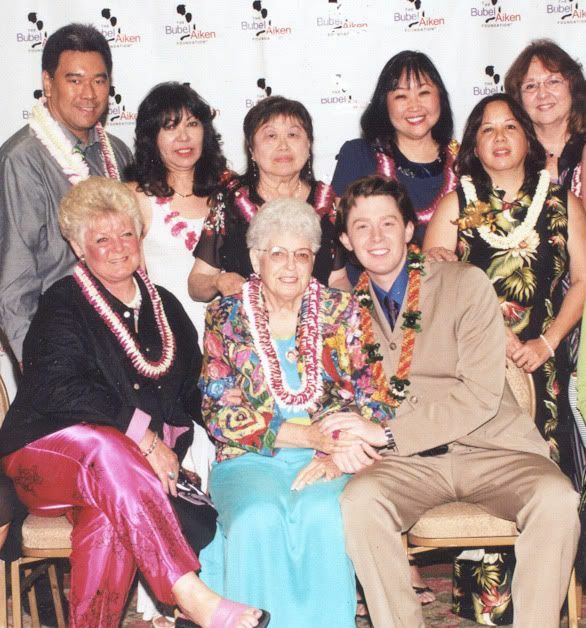 I wish Clay would make another trip to Hawaii to speak about The National Inclusion Project. 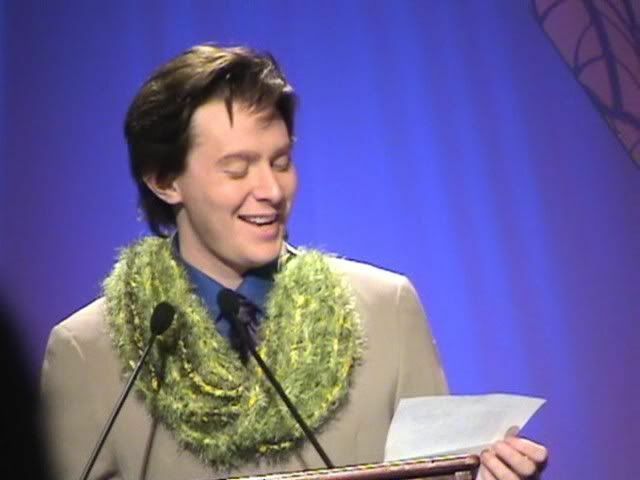 I would love to hear him speak about the benefits of inclusion and visit Hawaii at the same time! Do you remember this event from 2005? Clay is one of the few, who has stayed constant with his charity work! The foundation has spread across the nation and will continue on. We his fans, are so proud of him and will support him anyway we can. The photos are amazing, and he looks so happy with the progress of The National Inclusion Project; as he does today! Error: Error validating access token: Session has expired on Tuesday, 21-Aug-18 16:13:01 PDT. The current time is Thursday, 18-Apr-19 12:00:52 PDT.